In Japan they are relentless with kawaii (cute). Nothing escapes their reach! Even the classic Japanese simmered stews are kawaii-ified. 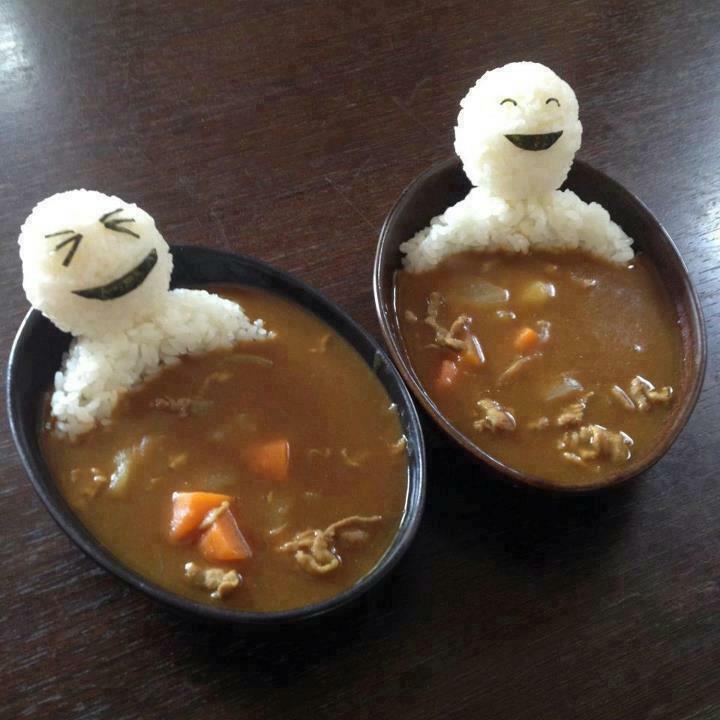 Check it out….the rice people look like they are enjoying a meaty onsen. Made me smile, hope it does you as well. Oh my gosh – is that the cutest things EVER?? ?